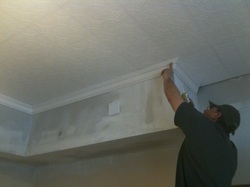 Complete Service offers a full line of remodeling and contracting services. We have the experience to help you design the project or work with a design plan. We have experience in period restoration of old homes, kitchen design and remodel, cabinet installations, bath design and remodel, commercial store build-outs, factory and office space construction etc..
Take a look below for examples of some of these jobs.